There are many people who are trained in the arts of Search Engine Optimisation, but a lot of people start flapping when it comes to problem solving an account. We have all been there, we spend a long time marketing a website, building up the content and visitors slowly over time, and in one fowl swoop you see a bulk of your traffic disappear for one reason or another. Time to hit the panic button? No, not just yet. Some of the answers could be very simple and you may be overlooking the obvious solution. Firstly, if you know you have gone within the Google guidelines then you need to create a checklist and cross them off one at a time. Your websites robots.txt file may be blocking search engine robots from accessing vital files such as your CSS stylesheets and other files, therefore Google are unable to process your website properly. If Google cannot see your CSS files then it will not be able to see if your website is mobile friendly or not, therefore you may lose a little bit of ground with mobile search queries. It may be possible that you have lost a highly relevant backlink pointing to your website. 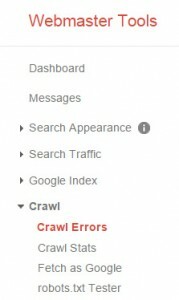 You can use backlink checking tools such as Ahrefs.com that will show you any lost backlinks. Just one lost backlink can result in a heavy loss of visitors, so do not underestimate the power of them. 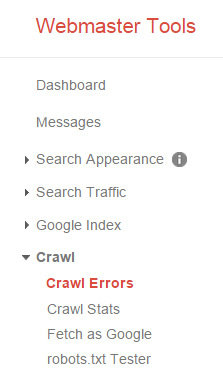 Keep checking regularly for lost backlinks so you can find a replacement. 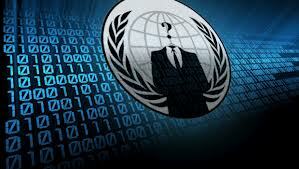 I have seen numerous websites that have been hacked. What usually happens is the hackers upload files into your website hosting account that creates pages that point to affiliate products. They then proceed to build in bulk a lot of spammy backlinks. Google are normally quite lenient when it comes to hacked websites but sometimes it can cause problems, especially if they mix in building spammy backlinks to your homepage, however that is not as common. Have you migrated recently to a new server? So, you have a .com domain and you have migrated to GoDaddy from a UK host? If so then how does Google know which country to send you visitors from? Unless you set your international targeting to UK then it is possible you will not be sent UK visitors. Basically you are on a US IP address and a .com is a global domain. It would be much wiser to be on a .co.uk domain and a UK based hosting company. 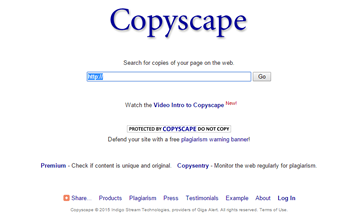 As mentioned in a previous post about duplicate content you very well need to check that your content is safe. 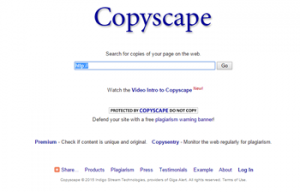 Content theft exists and there are a lot of scraper sites that linger in the dark corners of the search engines, so you need to somehow keep your content safe and keep regularly checking Copyscape to see if this has happened to you. A lot of people do not realise this but you probably share your server with hundreds of other websites, and it may be possible that one of these websites is slowing down your server. If this happens then it slows down the performance of the entire server and all websites on it will be effected. If somebody is trying to load your website from a slower 3G network and your server is running slow then that person will give up and move onto another website. A common problem with a shared server are high amounts of spam mails outgoing from the mailserver. Are you overoptimising your backlinks? There are many people that are still stuck in the historical era of search engine marketing and are still building low quality backlinks with keywords as anchor text, simply because they do not know any other way. If you are hiring somebody cheap just to save a bit of money then that is exactly the service you will receive, a cheap one, and that cheap service will end up costing you more in the long run. Overoptimisation is an archiles heel in SEO and if you overoptimise a keyword you will see your website going to wrong way, and one thing that is harder than building backlinks? Getting them removed. Quite a while ago Google started to rewrite your title and meta descriptions in Google and there are only a certain amount of characters that you can use. A title or description is too long will be rewritten by Google that can effect the click through rate % of your listing. Remember, your description ends up being the snippet in your listing when somebody types in a search query related to your website, therefore it is imperative that you make it stand out with a good call-to-action.